Suspect nabbed over offensive vandalism, including swastikas, in Penn Station. JTA - A Brooklyn man has been arrested for drawing swastikas and other bias graffiti in men’s bathrooms in Penn Station. New York’s Metropolitan Transportation Authority, or MTA, said in a statement Monday that detectives from the transit service arrested Pasquale Vargas, 65. He is accused of multiple incidents of hate-crime graffiti at Penn Station since Feb. 28, according to MTA. 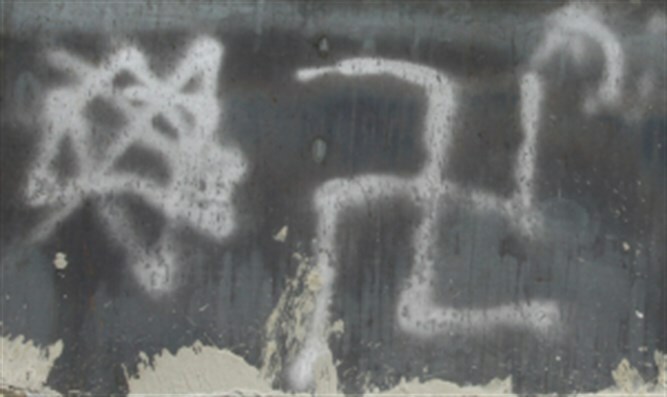 He was charged with eight counts of Criminal Mischief in the Fourth Degree, which are being prosecuted as hate crimes.